The Slim-profile machete offers a slimmer blade and thicker handle for those tight situations whether be your environment, backpack space or storage. The 16” black coated 1055 high carbon steel blade features a straight spine profile unlike its curved brothers. 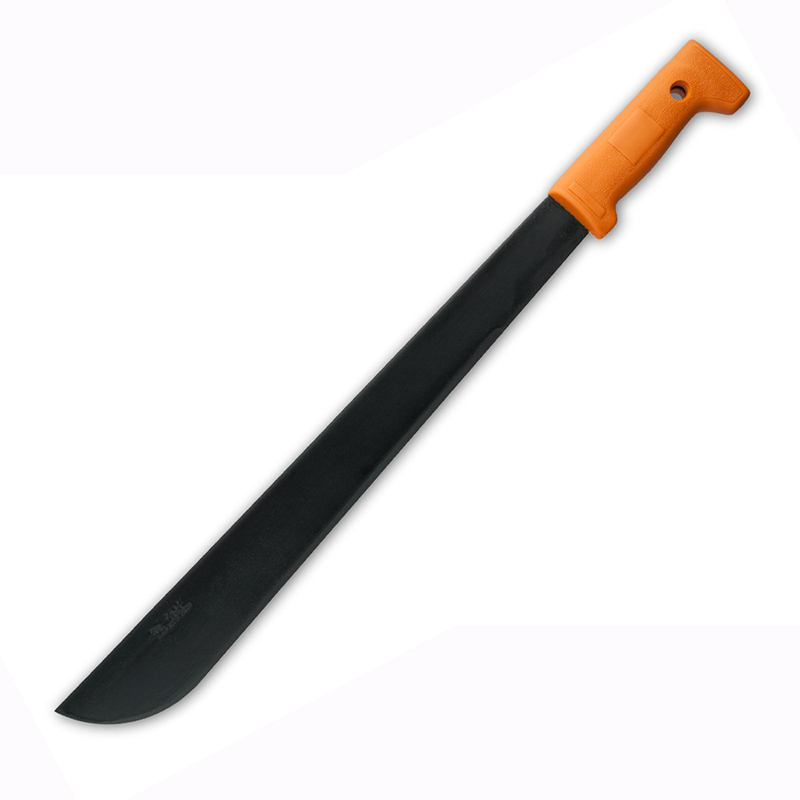 The blade profile starts at 1 7/8” at the widest edge and tapers down to 1 ½” at the handle. The orange injection molded handle makes gripping easy and comfortable with its ergonomic shape and textured handle. If you prefer a smaller handle, its twin in the regular matte steel finish (KO5000) offers a thicker wood handle at 7/8" thick and 6 1/8" long but you lose an inch in blade length.